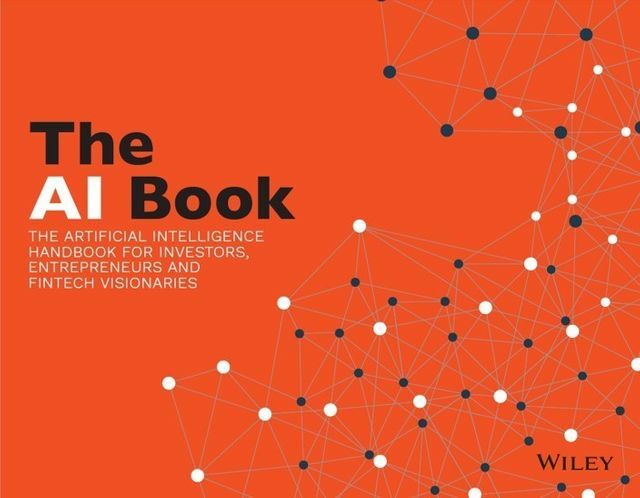 Following the success of the FinTech book published in 2016, and the InsurTech book that I was excited to be a part of, I'm delighted to share my abstract from the forthcoming AI Book. I have never, nor will ever to proclaim to be an expert in AI. I will however remain passionate about new technology - but only as long as it solves real customer needs and challenges and for the industry I am passionate about - insurance. 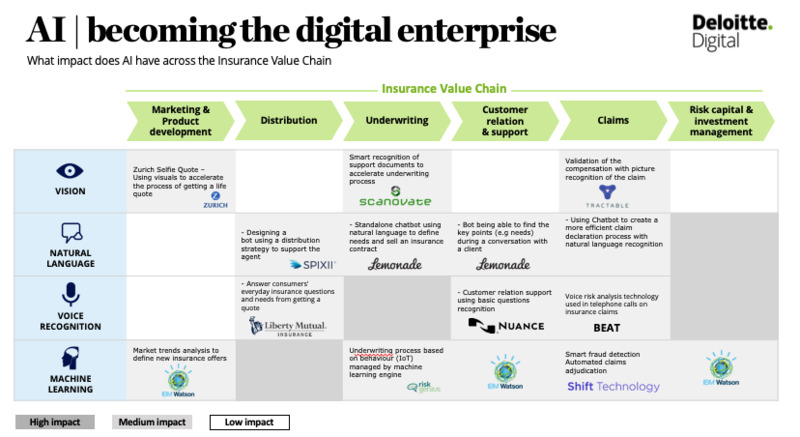 First - debunk the myths and will focus on breaking down AI, to it's basic parts across Visual, Natural Language, Voice and Machine Learning and then bring to live through examples, where it has an impact across the end to end insurance value chain. We will then bring to life with examples of both existing insurers doing things and new startups that are focussed on solving these very real needs. From Visual AI with companies such as Tractable.ai, using AI in images to identify and then automatically triage either a Total Loss in Motor through to an estimate on the cost of repair during the Motor Claims Process through to BEAT, our Behavioural and Emotional Analytics Tool, using voice analytics to understand tone, sentiment and empathy. 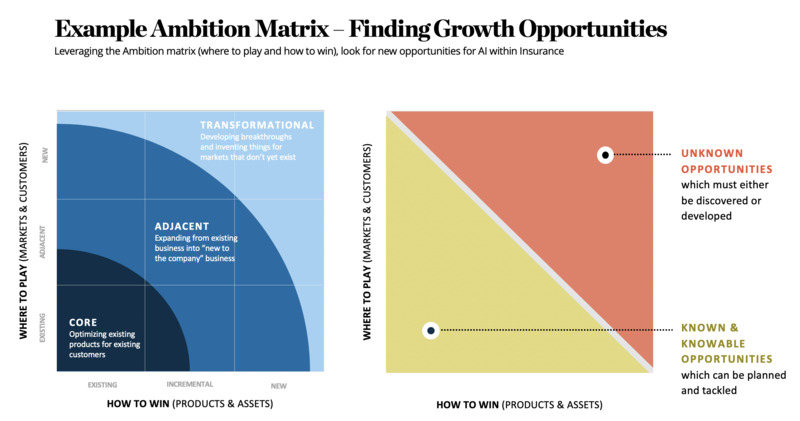 Second: Our next phase will be to map these onto our Ambition Matrix (see here), showing where we think the greatest impact will be had and where insurers should focus on first, with who is doing what in existing areas, vs creating new business opportunities by leveraging AI. There is no doubt that AI has and is creating huge opportunity. Lets see exactly where! Gone in six Seconds! Cyber crime in motor reaches new Top Speed!